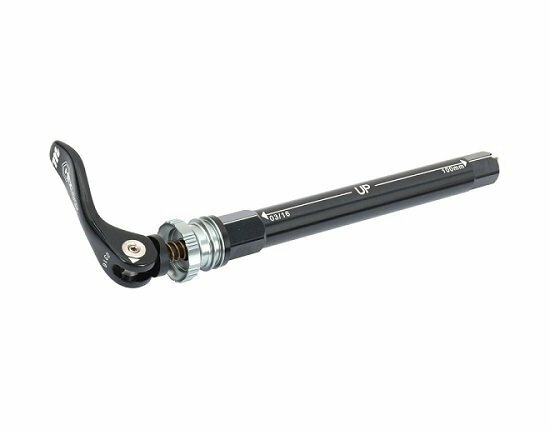 Patent pending system provides superior torsional stiffness with a Hex Lock axle and possibly the quickest install in the industry with 1/4 turn lock and tool-free set-and-forget tension adjust. Hexlock SL simplified the hexagonal QR axle design and achieved an even lower weight. Designed with XC and Enduro racing in mind.